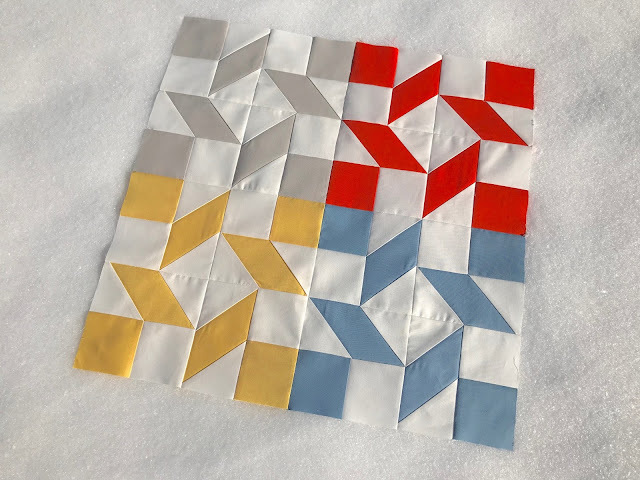 I'm so excited to be part of Fat Quarter Shop's Clementine Quilt Along, benefiting St. Jude Children's Research Hospital. This is the second time that I have participated in the the annual quilt along. It's such a fun way to work on a large quilt, little by little, and to help a worth cause. Although the patterns are free, FQS asks that you donate a small amount each month in lieu of paying for the pattern. You can click on the above link for more information on how you can participate. This year I decided to make my quilt using Moda Bella Solids. I'm eager to see how it all comes together. These Watermelon Wheel blocks are made using Gray, Mango, Buttercup, and French Blue. I love the way that the colors pop agains the freshly fallen snow! I love that you are doing this quilt along in solids! Excited to see your quilt progress. Thank you, Stephanie. I love working with solids! 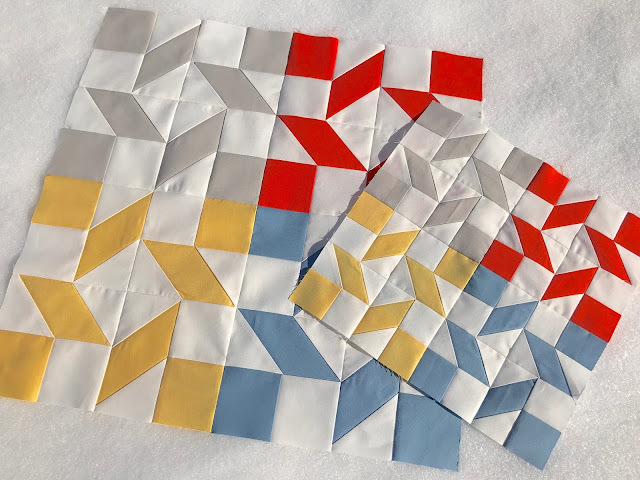 I am excited to see how your quilt comes together with the solids. Me, too, Jan. I hope it's a good as I envision. Haha. The colours look lovely together. Great way to use solids.